This MPG spiral cable is coiled up and lengthens when you walk the pendant around the machine to keep it off the floor. Handwheel cable often gets damaged and is the most common cause for problems with your manual pulse generators. Buy a new manual pulse generator cable from the CNC Specialty Store before a short occurs in the cable and causes damage to your machine. Machine builders often call these Hand Pendant cables, Handy pendant cables, MPG Cables, manual pulse generator cables. We currently stock this manual pulse generator spiral cable. 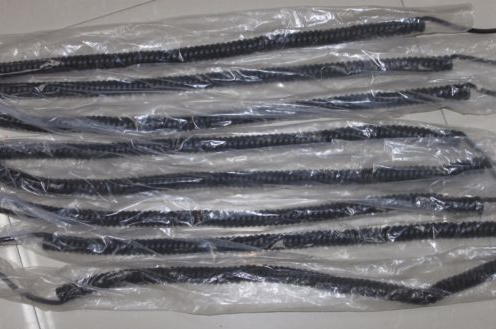 Other coil lengths are also available as well, but may have longer lead times. Call with requirements if needed. This MPG Cable works for the majority of hand wheel pendant cables and other machine cable applications. 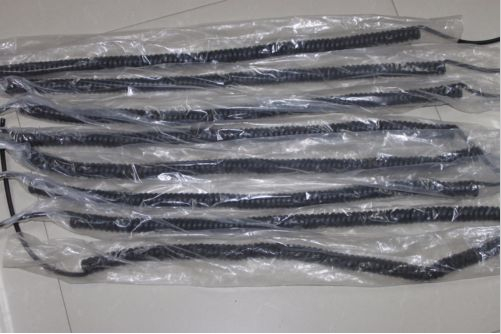 These MPG handwheel cables stretch to about 19 ft long or longer and have 25 wires. Pendants with many functions may require more conductors. 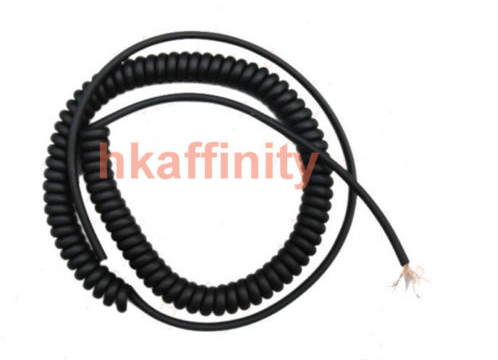 Manual Pulse generator spiral cable is often called Spirex cable, Spiral Cable or Coil cable. Found primarily on hand pendants, manual pulse generators or remote operator pendants. Applications vary but if you have specific requirements please contact us. Commonly used for Tosoku brand replacement cables and rebranded pendants. you cannot return the parts within the guarantee days,Please inform us the predicted backing date to us for negotiation. And the returning date must according to the negotiated date.